It’s powerful halotherapy in a controlled environment. Salt Therapy, or Halotherapy, is a holistic method that reproduces the microclimate naturally found in salt caves by dispensing high concentrations of dry salt aerosol into a room. Salt therapy has many healing benefits. 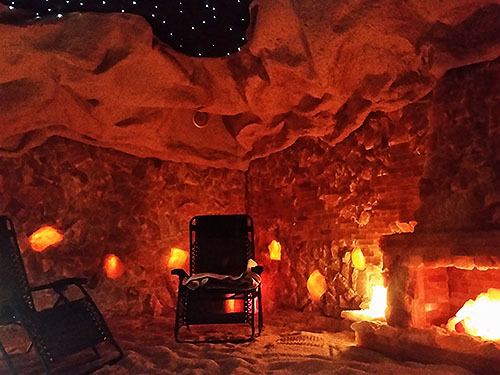 When you visit Halotherapy of St. John and enter our salt cave, you’ll experience salt particles that waken your senses and clear out your system. 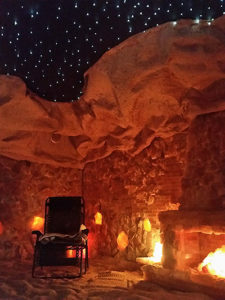 The salt cave is the room where you’ll get healthy, get relaxed, and enjoy the experience. .Learn more about the room and what you can expect when you visit our salt cave. Our small shop is full of a variety of salt lamps, essential oils, and CBD oils that will benefit your health in your own home. Stop by to check out selection and see how your life can improve. 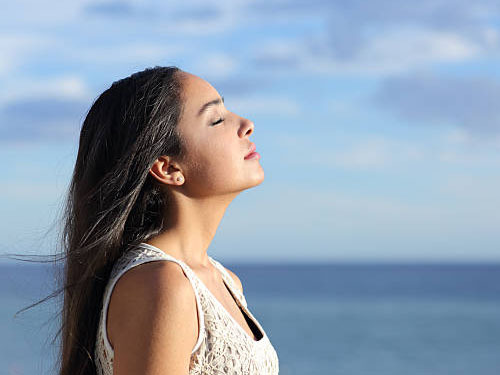 Simply put, Halotherapy is sitting in a “salt room” where micronized salt is aerated throughout the room by a generator for a specified amount of time. It is thought by breathing this pharmaceutical grade salt, it would help those suffering from problems such as asthma, COPD, emphysema, arthritis, bronchitis, sinusitis, airborne/environmental allergies, congestion, headaches, and in some cases, successful lessoning of congestion in those suffering from cystic fibrosis. Those with psoriasis, eczema, and acne have had improvements of their symptoms by sitting in the salt room. Salt has anti-bacterial and anti-inflammatory properties and has been around for centuries. It has amazing powers and is being called the miracle mineral that heals. 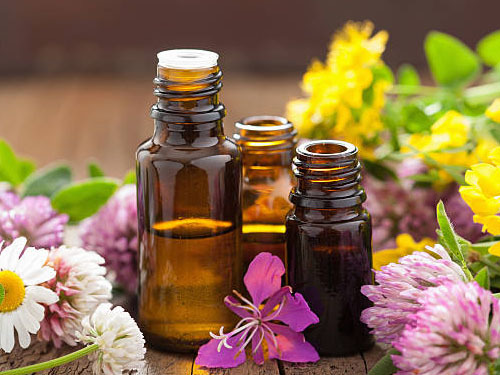 It’s natural and beneficial to many diseases and disorders. Watch as Dr. Oz briefly goes through the process of what happens when you breathe salt into your body. I was skeptical at first, but after I left my first appointment, I felt like I could breathe better already. It was very relaxing in the salt room, too. I’ll definitely be back!